Here we will show you how to reach the Sansan log-in screen in one touch by creating a shortcut to Sansan for Mobile (Web version for smartphones) on the smartphone screen. 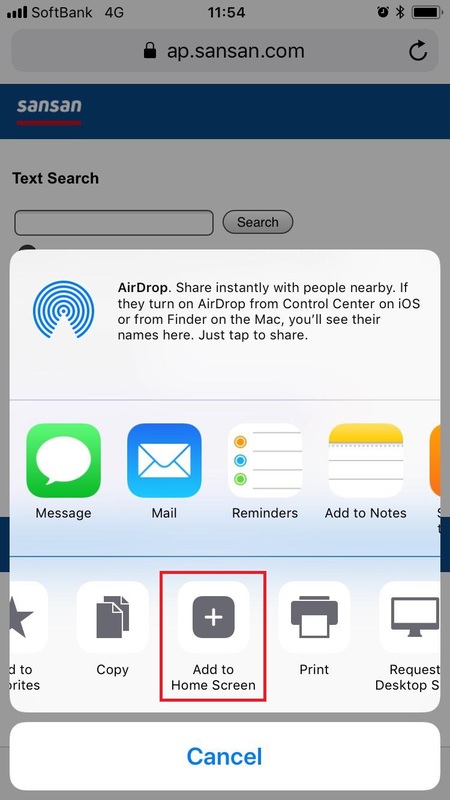 In this procedure, we will use iPhone5 (Safari) and Android (standard browser) to show how to do this. Some operations may be different depending on the device type and version. 2. Select "Add to Home Screen".